Ithmaar Bank, a Bahrain-based Islamic retail bank, announced today (ed note: 24/05/17) that it is introducing a new Sharia-compliant corporate credit card with Mastercard. The new Ithmaar Bank Mastercard Corporate Credit Card is tailored to meet the specific requirements of corporate customers, as well as business owners and Small and Medium-sized Enterprises (SMEs) customers. Its development and subsequent introduction is a result of the Bank’s commitment to listening to, and delivering on, customer expectations. 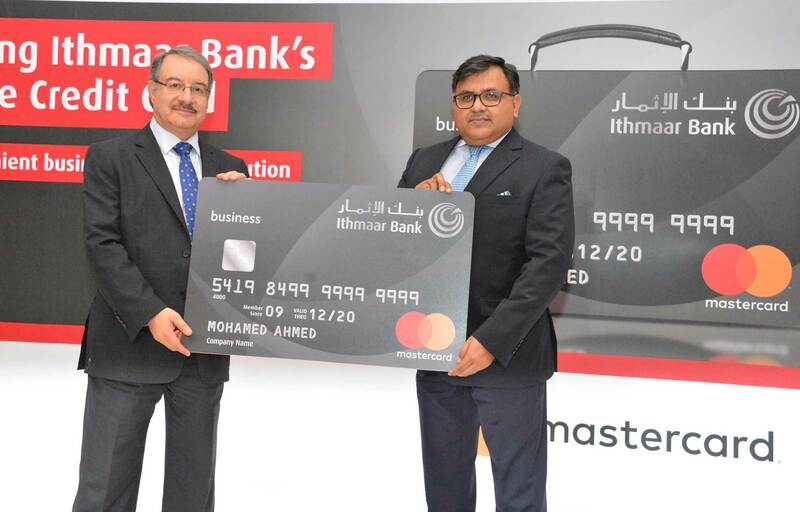 The corporate credit card was unveiled during a launch event at the InterContinental Regency Hotel, during which Ithmaar Bank and Mastercard representatives outlined the extended features and benefits of the card to customers. “Ithmaar Bank is determined to become the region’s premier Islamic retail bank,” said Ithmaar Bank Chief Executive Officer Ahmed Abdul Rahim. “To do so, we continue to invest heavily in developing our products and services while also working to be closer to our customers – and this launch is another major step in that direction,” said Abdul Rahim. “The introduction of the new corporate credit card solution, in cooperation with Mastercard, aims to meet the specific demands of our customers and addresses a pressing need identified by our corporate and SME customers,” said Abdul Rahim. “The corporate card allows for a one-stop payment solution which, ultimately, creates what could be the most convenient business payment solution for businesses,” he said. “We are pleased to have worked with our partners at Mastercard to introduce this business payment solution, and we are delighted to now make it available to our customers,” said Abdul Rahim. “I am confident that the new card will go a long way towards making payments easier and more convenient for corporate customers,” he said. “This launch reflects our commitment to creating tailored payment solutions that address the evolving needs of corporate cardholders,” said Mastercard Area Business Head, Northern Gulf, Pankaj Kathuria. “In addition to offering enhanced payment security and a host of exclusive benefits, the card will provide corporate customers with greater control over their payments and the flexibility to determine how, when and where their cards will be used. We are proud to team up with Ithmaar Bank to introduce this innovative payment solution that will further accelerate the displacement of cash in the Kingdom of Bahrain,” he said. The new Ithmaar Bank card offers credit limits tailored to each specific customer, as well as other key features. An additional layer of security, for example, is embedded in the new corporate credit card with the Mastercard SecureCode authentication feature that protects the card against fraud. Corporate liability waiver is enabled as well, and protects the company against unauthorised use of the card by its employees. Ithmaar Bank corporate credit card customers are also eligible for 20 percent discounts on daily business shipments with DHL shipping.